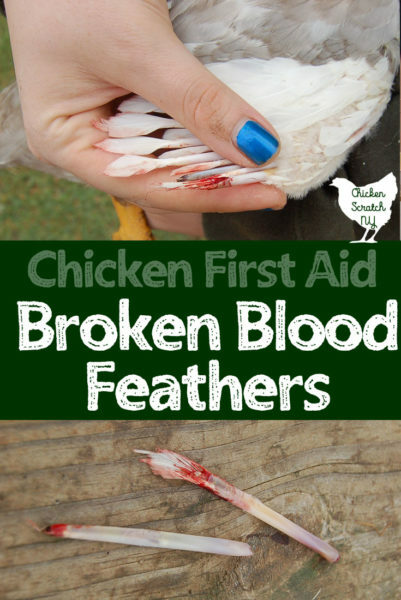 Time for a Public Service Announcement for my fellow chicken owners. We’ve been having a heat wave here in New York. Three days (so far) over 90 degrees with no rain. These are perfect conditions for chickens to get heat stroke. The best course of action is, of course, prevention. There are a few things you need to do before the heat hits. Most of this is generally good practice for having chickens but when the temps climb it becomes essential. 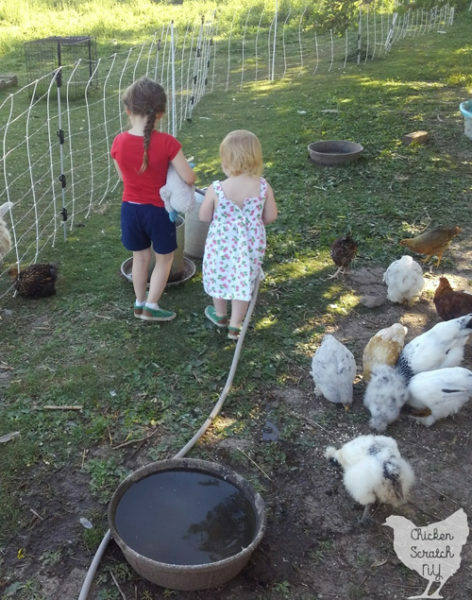 I wrote about the Dark Side of Chicken Keeping earlier and a few of the main points from that post come in to play here. 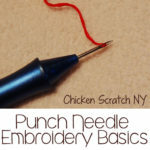 Definitely check that post out if you’re new to chickens or you are hiding in the AC from the oppressive heat and need something to do. Chickens can’t sweat but the they do pant and hat causes water loss. Drinking cool water helps them cool down from the inside while replenishing what they lost while panting. Make sure they have plenty of water, check as often as possible. I have extra 2 gallon waterers I put out when it’s hot plus the normal 2 five gallon waterers. And I have a few shallow black feed bowls that I fill every morning and afternoon. Always have extra available. It doesn’t take a lot for one to get spilled, another gets mostly consumed and then evaporates, ect. 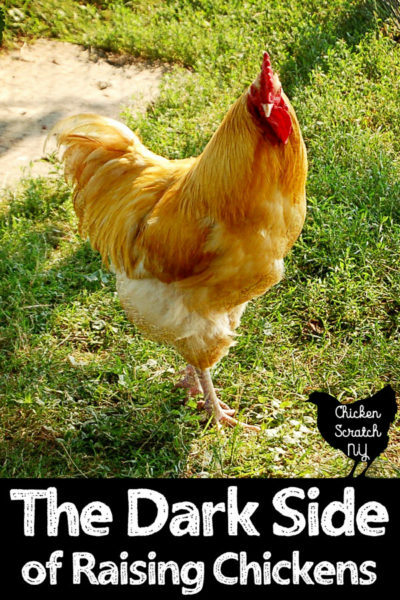 Earlier I mentioned my post on the dark side of chickens, one of the main points in that post is about the pecking order. IF you only have one water source and the top birds decide it’s only for them the bottom birds are SOL. Chickens aren’t nice, don’t expect them to be. Extra water sources are especially important if you have ducks & geese. They will try to bathe in them and either tip over the waterer or spill it all. I also have a large kiddie pool that I keep filled for the geese and ducks. It’s usually disgusting about 1/2 an hour after filling but birds are gross and don’t seem to mind. Keep the water in the shade. The metal waterers and the black bowls will heat up and feeding hot water isn’t doing much for the chickens. You can also give them extra food with a high water content like watermelon or other fruit. Don’t count on a watermelon to keep you birds safe in the heat but it’s helps. Make sure they have a place in the shade. If your birds free range they will find somewhere nice and cool. I have a small grove of trees where they birds like to hang out.I also find them under the deck a lot where conditions are perfect for dust bathing. 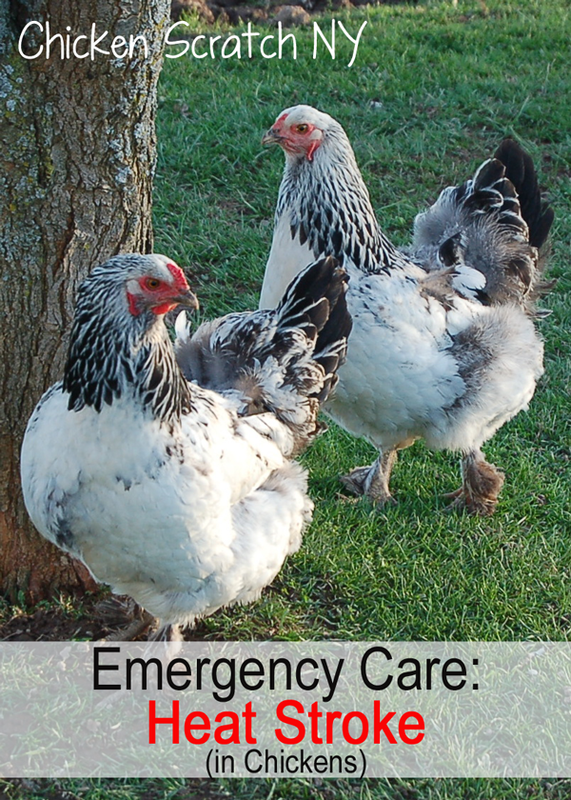 If you keep them in a coop or run make sure they have shade and ventilation. My barn has two doors that open for a nice cross breeze, luckily it’s almost always breezy or down right windy where I live. If you aren’t so lucky invest in a fan. Barns are very dusty places so look for one with a sealed motor. Dust will get into the motor and kill the fan and it can even start a fire. Keep your birds healthy; sick, over- or underweight chickens are more likely to have problems. Don’t mess with your bird too much when it’s hot. Check on water, make sure no one is having any issues but otherwise leave them alone. I try to feed in the early morning and again at night when things have cooled down. The sun goes down around 9 so I’m out at 7:30 with feed. 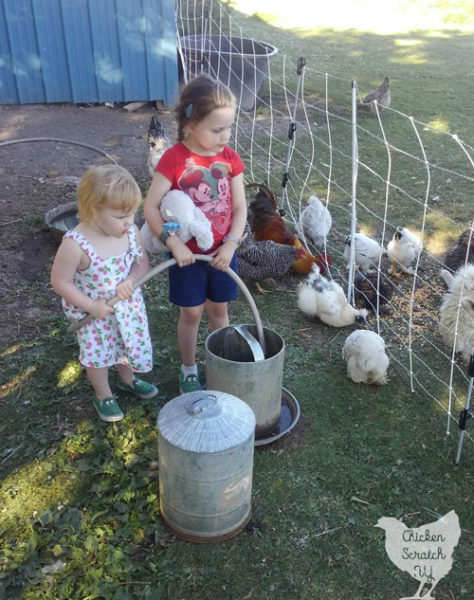 If you have chickens you understand the feeding frenzy, that level of activity is too much when it’s 95 degrees with 100% humidity and no wind. Consider this before you buy: chickens with large combs use them to help cool down in hot weather. Most of the birds I have here (Wyandottes and Brahmas) have small combs. I did this intentionally because it’s better for our winters, large combs are more susceptible to frostbite. It also means their combs are more or less useless for cooling. Match your chickens to the weather. It’s obviously easier said than done right? I live in the north east where we have terrible humidity, freezing cold snowy winters and hot summers. It is what it is, you adapt and prepare for the worst. I’ve had this happen twice. It’s awful, that’s an understatement to say the least. I hope this never happens to you and you birds. Another point I made in the Dark Side of Chickens post is that they have a death wish. They love to put them selves in dangerous situations. The first time I had just moved the second ‘batch’ of chicks out with some that were about a month and a half older. I had a temporary separation wall. Long story short the wall was knocked over, the chickens went the wrong way and instead of escaping I ended up with a pile of chickens. I got to them pretty early and only two were really affected. The second time was when we moved. About 1/2 of the birds were affected (don’t move in July). Early signs of heat stress include heavy panting, wings held away from the body and listless behavior. Chickens pant and hold their wings out all the time, it’s when it starts to get out of control that you need to worry. Lime green poops is another symptom to look for. If you have a lot of birds it might be hard to see who it’s coming from. If it progresses to heat stroke the birds will lay on their side with their stretch out with their legs and feet sticking straight out and their head sticking out the other way. They also get stiff and usually won’t react unless you pick them up. They feel hot and stiff. The first thing to do is cool down the birds. I dunk them in cool not cold or freezing water. Rub the water into the feathers, especially under the wings and on the head. You want the skin to cool down. Try to get them to drink some water. You can put electrolytes in the water if you have them. I usually keep a bottle of pedialyte in the house just in case. Keep them separate from the other birds until they are acting normal. Keep them in a shaded breezy area, I’ve been known to keep a dog crate in my always 60 degrees basement just in case. Don’t let it happen again! Prevention is 100 times better than treatment but freak accidents do happen so it’s best to know what to do. Have you ever had a chicken with heat stroke? What did you do? If a hen doesn’t get enough clean water she will not lay the next day and possibly for the next few days. If she misses her feed you will see the effects in the next 3 days. I’ve been thinking of getting a chicken or two to free range but I don’t want to draw a gator into the yard. Lovely Florida. It is in the 90s here. I have fans going and definitely keeping their water founts full. Thanks for the great advice. I also love to give mine cold vegetables. When I have cucumbers that have grown too big in the garden, I put them in the fridge then share with the chicks. Very interesting about the combs, I had never heard that before. That info will help me on deciding which kind of hens to get once we get a coop rebuilt. Thanks! Fortunately for me, I’ve never had a chicken in full out heat stroke, despite living in the desert. It has been a very hot June (I know it has been everywhere)and I know my hens are hot when they pant. They have plenty of shade and water. Now that I think about it, I probably could have dunked them to cool them off. Hello, I love this post because I’m having a hard time finding info on how to treat a heat stroke. I’m pretty sure the silkie pullet I JUST BOUGHT TODAY had one on the way home. I was holding her and a young roo in an open box on my lap with the vent window pointed on them. They had tons of air flow and the roo is fine, so I’m kinda shocked that this happened to her with all of the air flow. Anyhow, Her legs are straight out in front of her and she can’t stand/flaps around occasionally. I have her cooled down now, but I don’t know how much to feed her, how often, what to give her to drink (if she needs anything other than water at this point) and how much fluid she needs to take in per day until, hopefully, I can get her back on her feet. 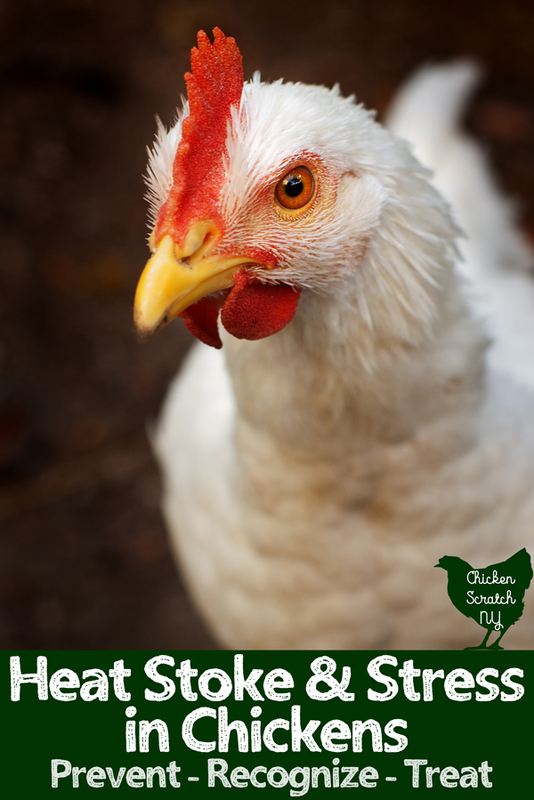 Please share how you fed you chickens while caring for them after a heat stroke. I have found that it is NEVER ADVISABLE to dunk your bird in cool or cold water when it has any form of heatstroke. The stress it is already experiencing is simply magnified and could kill your bird. I had a hen that had a very bad case of heatstroke. Se was listless and dizzy. It was a very warm day, so I decided to dunk her in a bucket of cool water… She died the same day, of a culmination of stress factors. I warn you, cool down the bird slowly and gradually. Make it drink copious amounts of water AND put it in a cool shaded place. But do not stress the bird out anymore then it already is. I’m sorry you had that experience. As I said I am not a vet, but I have used the same method many times without losing a single bird. It is possible that your bird was far worse than mine to begin with. I have never used cold water, I mention that in my post. I did all that plus used a dropper to force her to drink. Added a little vinegar in the cold water. Further I turned on a mister system for the coll evaporating water to coat her. She seems to be responding but time will tell. Living in Arizona makes it even worse. Fingers crossed. Lost one of my Barred Rocks last week broke my heart. Don’t like that. Just call me mother hen. That was a Wonderful piece. I lost three chicks a few days back. It was heartbreaking cos i took out time to really look after dem. but i was a lil bit confused if i was over feeding them or it was heat stroke. but the temperatures were at 31ºC. Chicks are an odd mix of hardy and fragile, eventually everyone loses some even if they do everything by the book. I’ve never used a thermometer to keep chicks, I keep them in a temperature controlled area with a heat lamp and listen to them. They’ll let you know when they’re unhappy. As long as they have room to get away from the light they should be fine. I’ve never been able to over feed them either, I keep free choice food and water (water is a must!) in at all times. Hi Alicia Its me again. 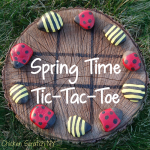 I Have a serious case in my coop.. My chicks are just dying since they came in they have been on one anti biotic to another. anticoc oxytetracycline(both ie in their water and the injection. still they kip dying.) The sad part is no one can help even the veternarians. They keep guessing. Am not even interesting in the financial part of this anymore. Trust me the emotional stress is killing me. I nid help!!! They have diarrhea (greenish watery poo some whitish) lose of appetite one paralysed, cough and wen dey poo it comes with this funny pooooooooooooooo kinda sound and wen u luk u see just a v v v small poo.